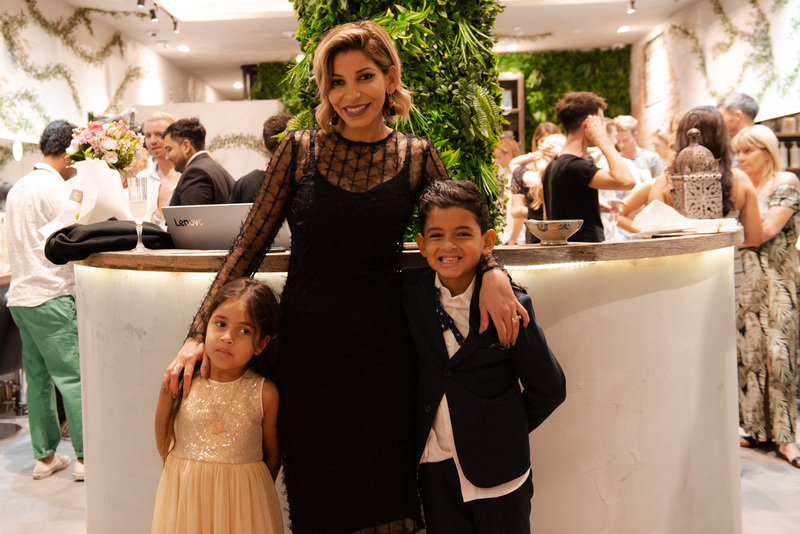 To celebrate the launch of their new Brookvale salon, Royals Hair hosted guests for an exclusive Sunday soiree; complete with flutes of champagne and a lavish Middle Eastern spread. 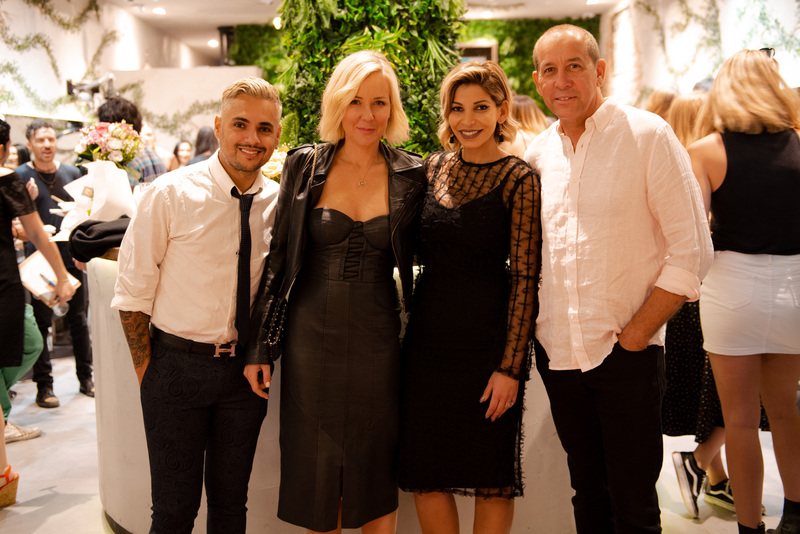 The salon empire’s fourth venture, the new Warringah site is jointly owned and managed by Salon Director Travis Bandiera, as well as Royals Hair owner Adam Alamine and brother Hamza. 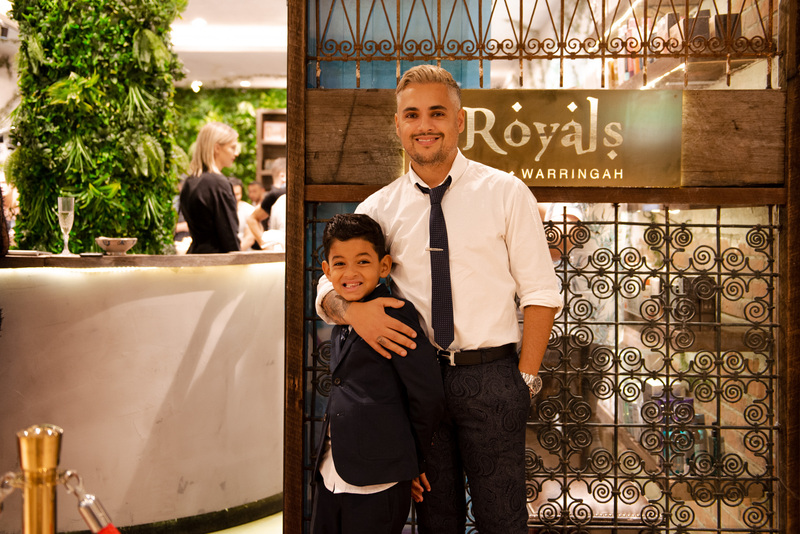 “We’re really excited to bring the Royals Hair brand and ethos to the Northern Beaches – it’s an area which really suits our down-to-earth style and our business model,” Adam said of the development. 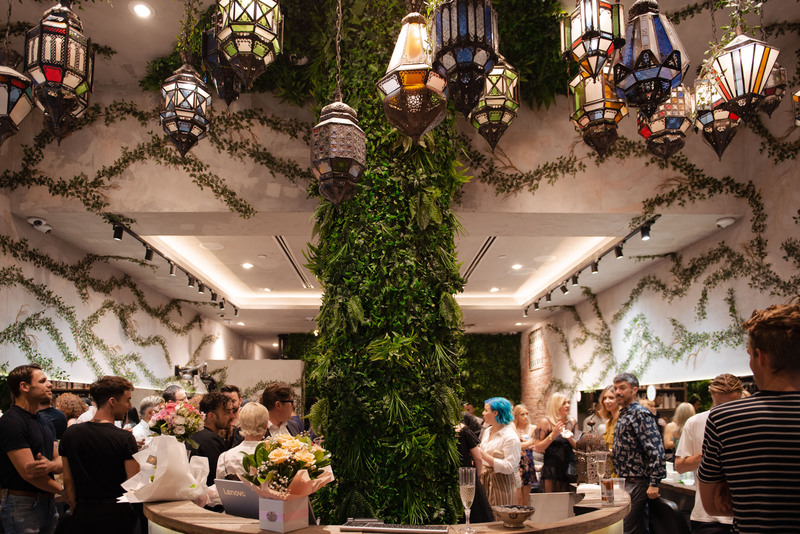 Located inside Westfield Warringah Mall (one of the largest shopping centres this side of the equator), the space draws aesthetic cues from Morrocan design hallmarks; combining intricate tile work and exotic features, with a multi-hued colour palette and sprawling ivy details. 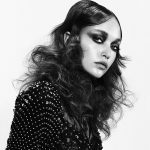 Clients can experience a range of services including cuts, blow-drys, styling, extensions and selected care treatments, and as with the salon’s predecessors, the new site carries only purely ammonia-free colours and sulfate and paraben-free products from such brands as Kevin.Murphy and O&M. 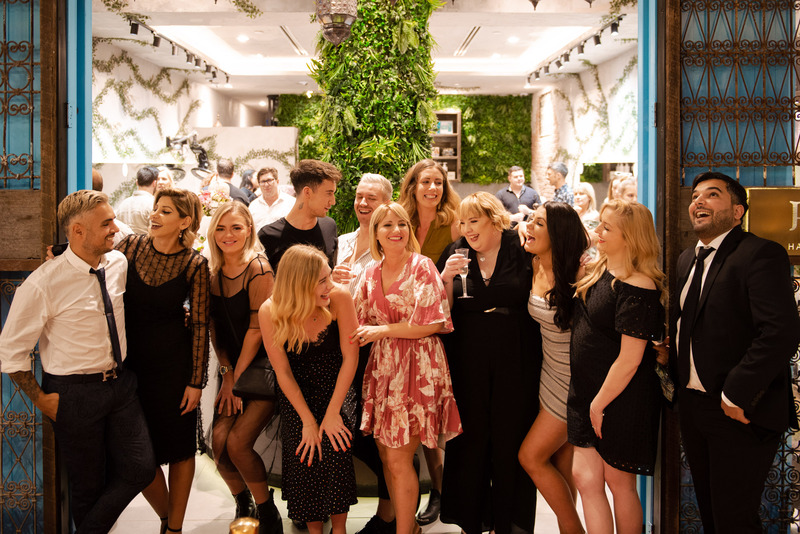 To celebrate the launch of Royals’ fourth salon, we caught up with Co-Owner/Creative Director Mary Alamine for the lowdown on the new space. TJ: Tell us about the new space. MA: We’d been looking at Sydney’s Northern Beaches for a while and know the area well, with family and friends living around Newport and its surrounds. 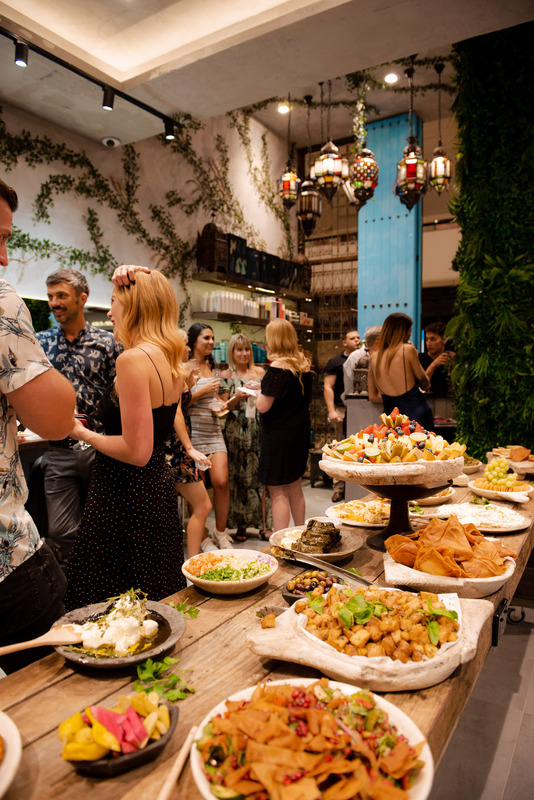 The space is modest in size so we had to make the most of every square metre, but it’s in a great location in Brookvale inside Westfield Warringah Mall. 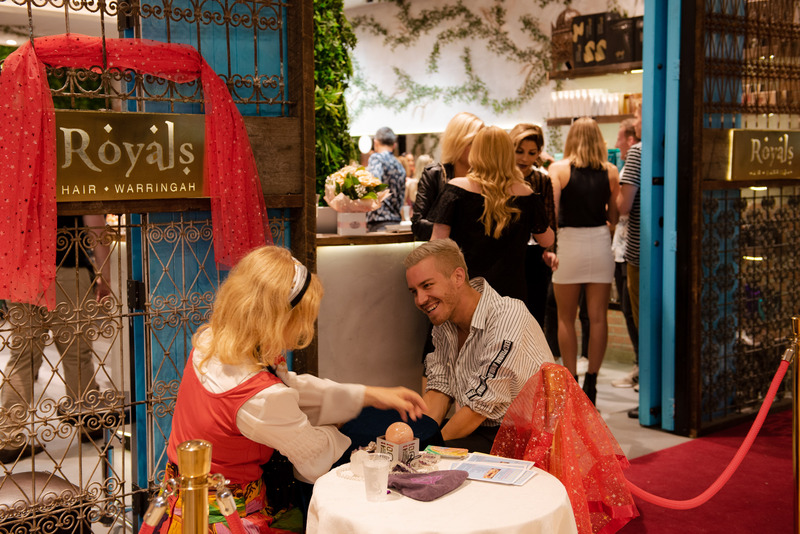 TJ: What inspired you to set up shop in Warringah Mall? 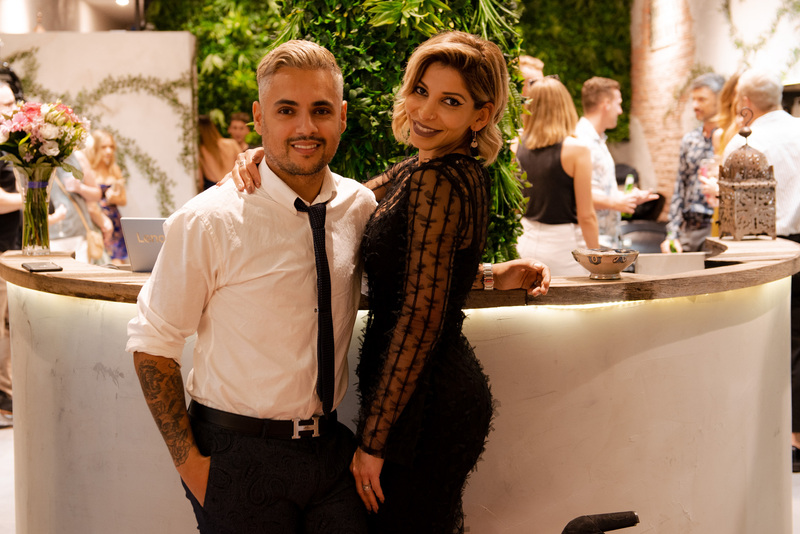 MA: With our other salons running along the Northern parts of Sydney, it made sense to grow in that direction, and with our recent move to O&M and our use of ammonia free colours – it was the perfect match. Beaches people are known for eating healthy, staying fit and generally caring about the environment; t’s literally the perfect demographic for Royals. TJ: Tell us about the salon’s vibe and décor. MA: The salon feels and looks similar to our other salons with a dominant Moroccan vibe and decor but this time we went a lot more green. The salon looks like a structure that’s being reclaimed by nature… what you’d imagine after human’s aren’t around! 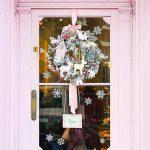 The distinctive feature in all of our salons is the [shop] front where we use imported Moroccan metal grills taken from windows. This time we had a large four metre high custom blue door made for the salon and it looks great (if I say so myself). MA: We’ve always said that the team is what really makes the salon not the interior. In fact, we build the interior with the team in mind not just the clients. We’ve managed to recruit a great international team of hairdressers and over the next few months we’ll continue to grow and recruit more. We’re always on the lookout for talent! MA: Systemise your salon, simplify the daily operation, eliminate unnecessary tasks and processes and question everything. (Why do we do this? Is it because it’s the most efficient way to do it or is it because I’ve been told this is what you do?) That way you can focus on management and actually run your business rather than just working on the floor. I still do hair (because I love it!) but I spend 90% of my time managing the business, stock, creative work, motivating the team and education. 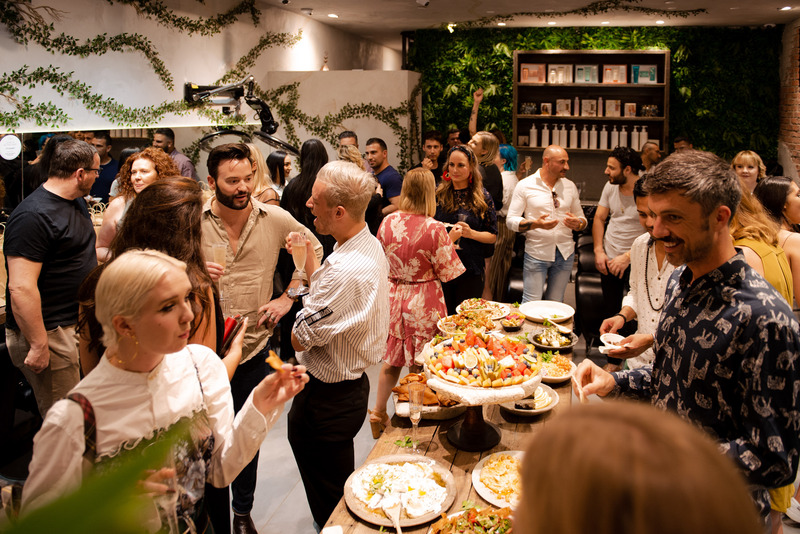 It’s also really important to create an authentic culture in your salon and that way you’ll attract people who share your vision, drive and passion. The vibe is everything. 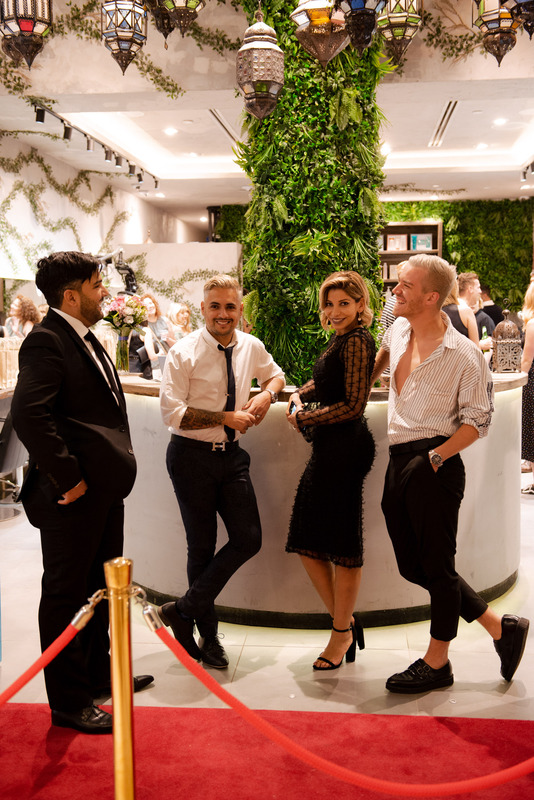 The team spend so much time in the salons that it’s important to have a great vibe! Over the years we’ve a lot of mistakes and continue to make mistakes but the trick is to never think you know it all. Continue to learn, develop your management skills and evolve.